When Sugar House Distillery released their small batch local vodka, I was enamored. I love vodka and I love supporting local businesses; I quickly became their best customer. Meant to shine on its own, their vodka is delicious straight up with a craveable, super smooth mouth-feel. Their vodka is also lovely in drinks where quality matters, like martinis. At around $20.00 per bottle and available at liquor stores, it’s a convenient and inexpensive habit (or so I keep telling myself). And then I met their Silver Rum. I never knew I was such a fan! Distilled with only the highest quality Grade A molasses, it’s far superior to others I’ve tried. Lesser rums will use cheaper molasses, then depend on aging the rum in barrels to mask the taste. 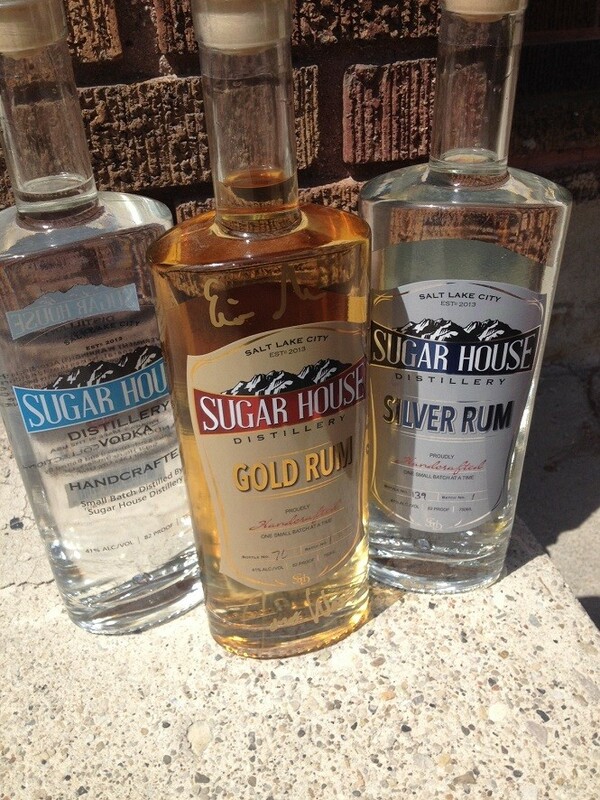 Sugar House Distillery boasts that they “achieve the perfect flavor, right off the still.” It’s also worth mentioning that Silver Rum is the very first produced in Utah. While it’s tasty straight up, there’s something about the warmer months that leave me craving a mojito. Here is a recipe straight from James Fowler, the owner. Squeeze lime into a highball glass, add mint and sugar and muddle the ingredients. Place cucumber slices into the glass and fill with ice cubes. Pour 2 oz of Sugar House Silver Rum. Top off with club soda and gently stir and enjoy! The other rum option is pure gold, Gold Rum, that is. Aging Silver Rum in a malt whisky barrel for 90 days creates a fabulous flavor that is best enjoyed neat. Of course, Gold Rum makes killer cocktails, like this simple and tasty Rum Sour. Pick up a few bottles of rum from their distillery located in Salt Lake, it’s the perfect excuse to avoid our (depressing and drab) liquor stores. While you’re there, be sure to ask for a tour, they’re happy to show off the operation and educate customers about their fine products.